Monkless is Bend's best kept secret—but not for long! 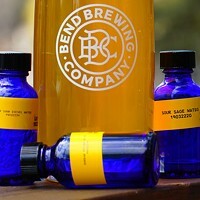 They were just added to the Bend Ale Trail in May and recently received a license to sell their ales in Washington state. Their recently expanded eastside taproom is cozy, but they make the most of the space by breaking out the patio chairs in the summer and host food trucks every Friday and Saturday. 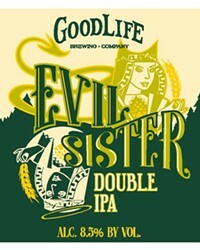 This collaboration with Sisters Coffee Roasters packs a punch! 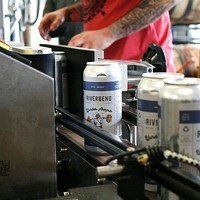 Each barrel boasts 4 pounds of Sumatra beans, a whole slew of malts and Cascade hops. This is a beer that gets even better with age, as the imperial stout base starts to shine through the rich coffee flavor over time. You can find it on the "Wanted" taps at Three Creeks Brewing or you can pick up 22-ounce bottles to drink (or save for later, if you have the patience to age it—if so, I admire your grit). I discovered Bridge 99 Brewery when my kid was going to the Central Oregon Gymnastics Academy. I had heard of all the big breweries in town, but this one had so far escaped my radar, and I decided I needed to try it. I'm glad I did. The current space has a small tasting area, but will expand this spring with rotating food trucks and a fun, tented area to sit in. 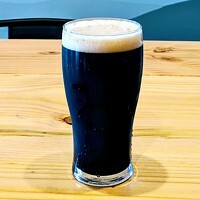 I had the beertender pull me a draft of their Bog Trotter Irish Ale, made with all Irish ingredients, including buckwheat honey, harking back to when the English blocked sugar from being imported to Ireland. The beer smelled good and tasted better. The honey's sweetness on the nose didn't transfer into sickly sweet when I took a sip. 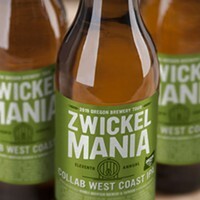 The beer has that traditional European ale flavor, not overly hoppy, but clean and delicious. I'm more of a porter person in the winter, but will definitely put the Bog Trotter high on my summer beer list. Redmond's Kobold Brewing is easy to find—located right on the main drag in downtown, in an old shopfront. The small space serves Kobold's brews as well as guest taps from other Oregon brewers. I'd never had a beer at Kobold before. I picked the Mango Session IPA. I'm not usually into sweet beers, but citric beers are in fashion, so I thought I'd give theirs a try. The taste was good, kind of like a mango-margarita-meets-IPA. It made me think of being in Mexico; all I needed was mystery meat nachos and I was there. The Mango Session IPA is definitely a summer beer. Light, crisp, and like most session beers, low on the ABVs so you can drink all day.